The Central Board of Direct Taxes has partnered with Ministry of Corporate Affairs recently. So the Permanent Account Number (PAN) and Tax Deduction number (TAN) will be issued in just one day to the firms. The applicant companies just need to submit an application form SPICe (INC 32) on the website of MCA, and as soon as the data is sent from MCA to CBDT, the applicant will be issued both PAN and TAN without any further identification. The finance ministry in a statement announced that The COI(Certificate of Incorporation) of the incorporated companies includes the PAN Number along with Corporate Identity Number (CIN). TAN will also be allotted with PAN Number. It claimed that the new initiative is to hopefully improve the ranking of India in the study conducted by World Bank which checks the ease of business by few number of processes and fast provision of TAN, PAN, and CIN. It would also make it easier for the newly established companies regarding registration. The Tax system will not only provide the PAN Card to the applicants in one Day but will also provide the electronic PAN card (e-PAN) via email. 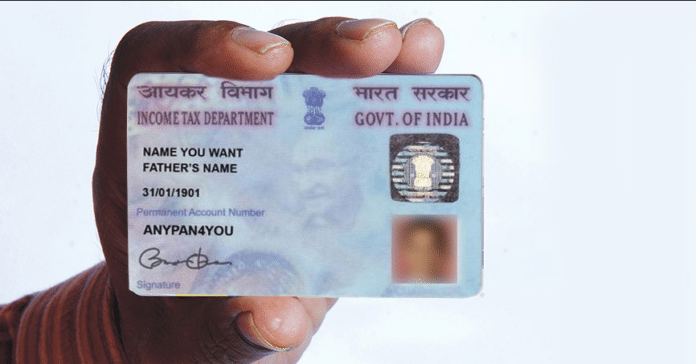 The authority stated that the individuals could use the digitally signed e-PAN card as an identity proof digitally and they can store in the digital locker in the portal https://digilocker.gov.in.